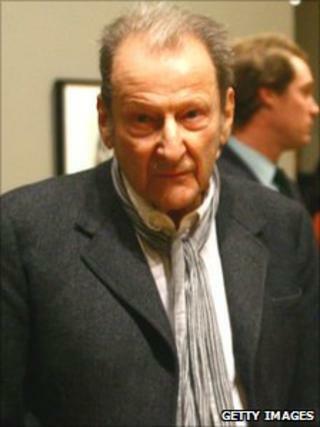 Lucian Freud, one of Britain's most distinguished and highly regarded artists, who has died aged 88, was once described by art critic Robert Hughes as the greatest living realist painter. A grandson of the psycho-analyst Sigmund Freud and the son of an architect, Lucian Freud was born in Berlin in 1922 and fled from Nazi Germany to Britain with his Jewish family in 1933, when he was 10. His younger brother was Clement Freud, who went on to become a broadcaster and writer. In his mid-teens he went to art school in London and then to another in East Anglia and he became a British citizen in 1939. At first he confined himself to drawing, and when he was 17 had a self-portrait accepted for reproduction in Cyril Connolly's magazine, Horizon. He later characterised his early work as the product of "maximum observation", achieved "by staring at my subject matter and examining it closely". Freud was recognised as a brilliant talent and, after a spell in the Merchant Navy in 1942, had his first one-man show in 1944, when he was 21. He had begun painting in the early 1940s and after the war went to France and Greece, before returning to Britain in 1948 to teach for 10 years at the Slade School of Art. By then he was working more with oils. Lucian Freud's portraits were not concerned with flattery or modesty - disturbing was one adjective applied to them - and some were said to have compelling nastiness. Though sometimes startling, his portraits could also be beautiful and intimate. Freud had been an admirer of the artist Francis Bacon and painted a striking portrait of him. Freud, who lived and worked in London, said his work was purely autobiographical - he painted "the people that interest me and that I care about and think about in rooms I live in and know". A close relationship with sitters was important to him. He painted several affectionate portraits of his mother and his daughters Bella and Esther were also models. Sittings could last for a year and sitters were often profoundly affected by the process. One of them once said: "You are the centre of his world while he paints you. But then he moves on to someone else." Freud seldom accepted commissions. His work is in a number of galleries in Britain and overseas, but much of it is privately owned. He was one of few artists to have had two retrospective exhibitions at the Hayward Gallery in London. Freud was married twice: his first wife was sculptor Jacob Epstein's daughter, Kitty, the subject of his celebrated Girl With a White Dog. His second wife was the daughter of the Marquess of Dufferin and Ava. Although Freud, who was made a Companion of Honour in 1983, had a reputation as a great womaniser and a reckless gambler, he was a private person, gave few interviews, and would not have a telephone in his studio. His love of animals was demonstrated in 2010 when he was tempted out of seclusion for the short film "'Small Gestures" by the prospect of being filmed with a kestrel and a zebra. He had vowed never to give up working, stating that he intended to paint himself to death.